张科科, 孙煜坤, 夏磊, 等. 网络卫星在轨分布式协同任务调度方法[J]. 哈尔滨工程大学学报, 2019, 40(2), 393-399. DOI: 10.11990/jheu.201707092. ZHANG Keke, SUN Yukun, XIA Lei, et al. 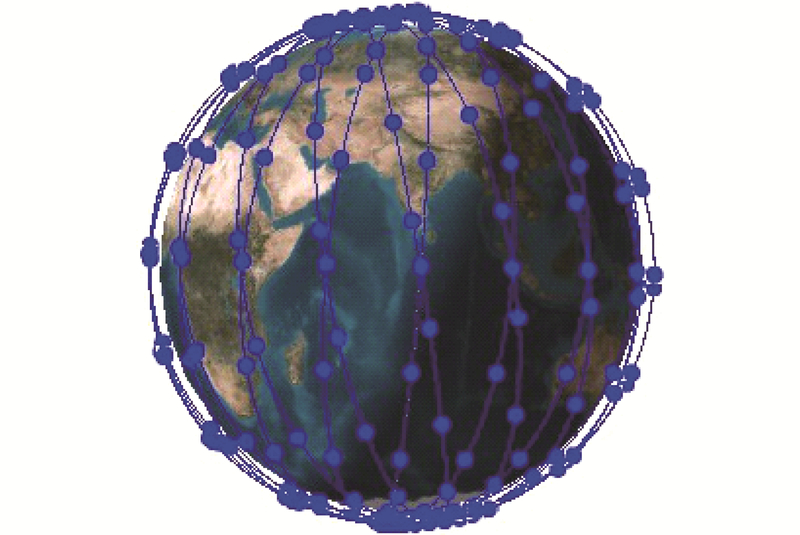 A method of network satellite on-orbit distributed collaborative mission scheduling[J]. 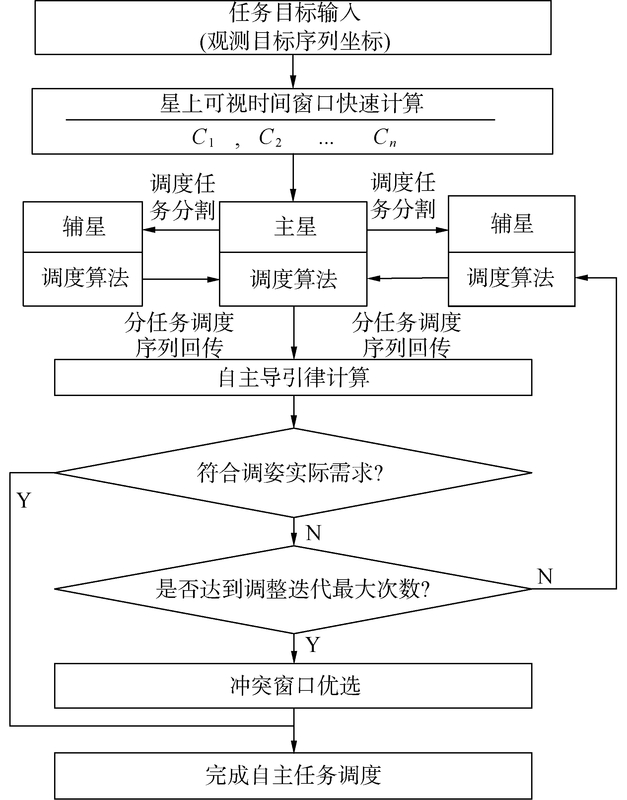 Journal of Harbin Engineering University, 2019, 40(2), 393-399. DOI: 10.11990/jheu.201707092. 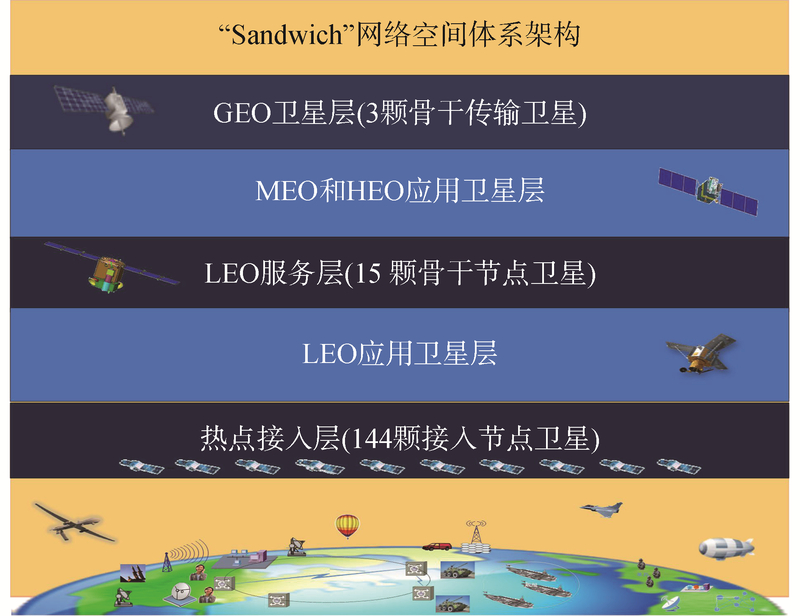 Abstract: This study designs a "sandwich" space information network architecture that aims to solve the problem of multi-object observation satellite scheduling. Simulation results show that the network transmission delay is in milliseconds, which is slightly better than that in traditional relay mode. Therefore, the network transmission performance is suitable for multiple task requirements in implementing on-orbit distributed collaborative computing. 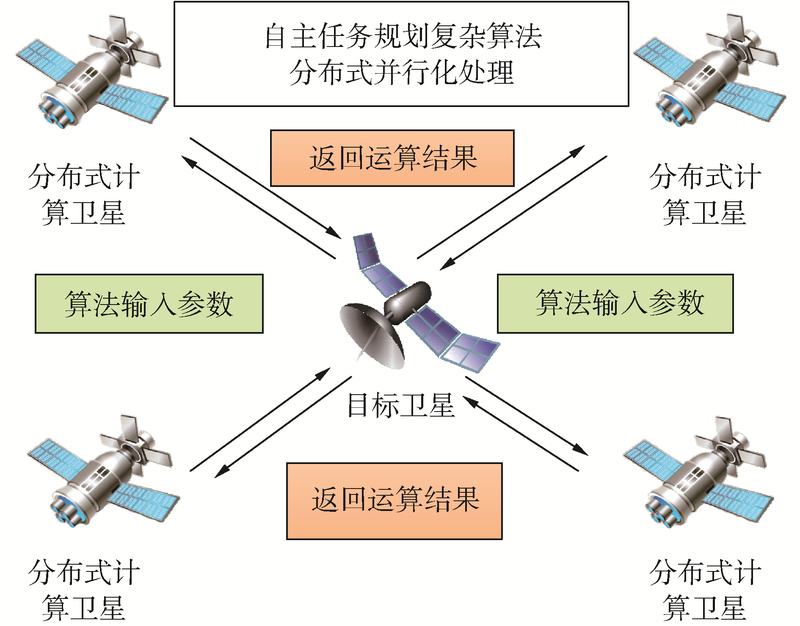 At the same time, a distributed broken-chain reconnection scheduling algorithm is proposed, which breaks through the computing resource of the single satellite and improves on-orbit computing capacity. A ground demonstration system with wireless network and Raspberry Pi is built which, according to simulation results, can effectively shorten the task scheduling by approximately half the time compared with the single satellite calculation. 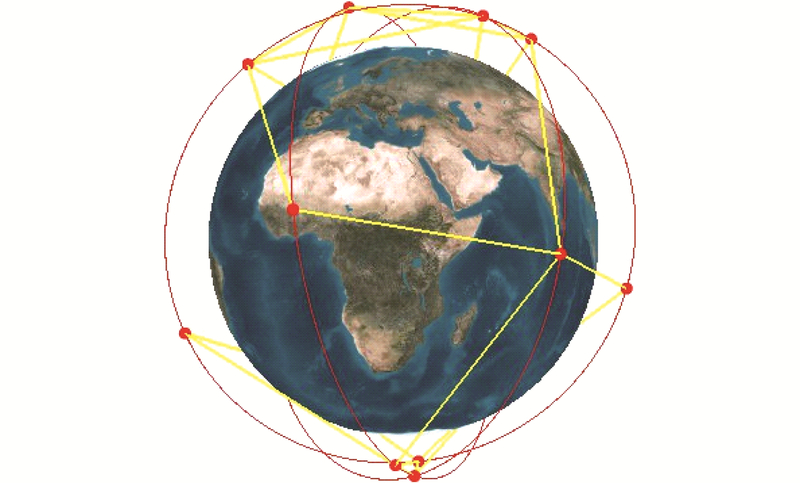 This method can be applied to the network autonomous mission planning and scheduling requirements for multi-tasking, earth observation, or space-based detection satellites, thereby laying the technical foundation for further research and application of a space information network. 常青, 李显旭, 何善宝. 我国空间信息网发展探讨[J]. 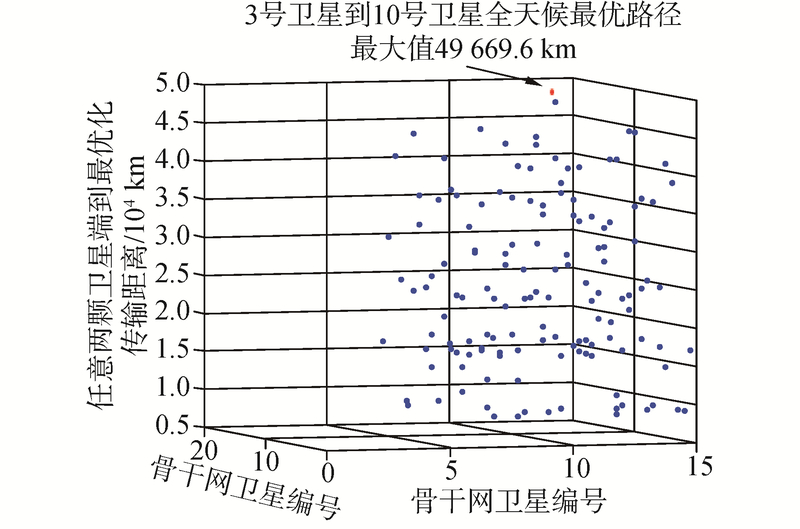 遥测遥控, 2015, 36(1): 1-10. 闵士权. 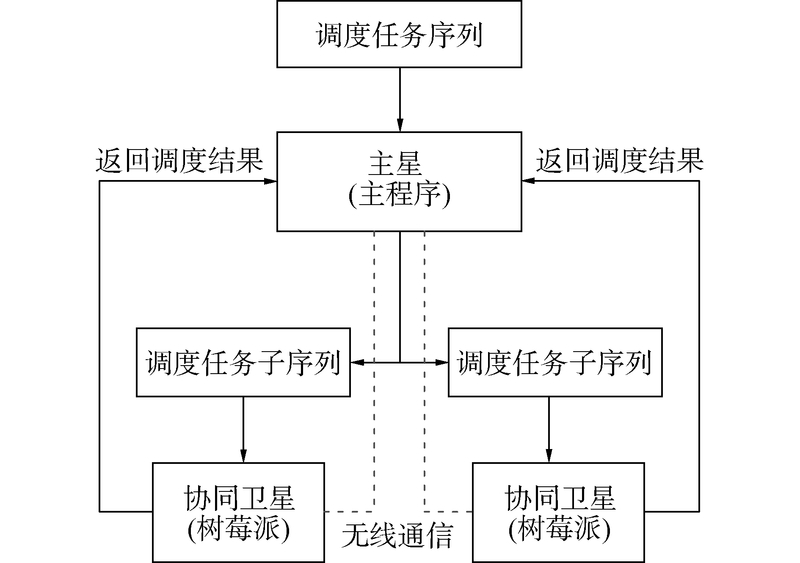 我国天基综合信息网构想[J]. 航天器工程, 2013, 22(5): 1-14.